Food poisoning lawsuits involve complex legal issues and are best handled by attorneys who have expertise in the areas of food safety and foodborne illness. Food poisoning is an illness which is caused by eating or drinking contaminated food or liquid. 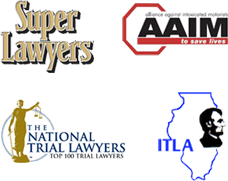 As skilled Chicago injury lawyers we have handled many cases involving food poisoning. The causes of food poisoning can be pathogenic bacteria, viruses, or parasites. Foodborne illness or food poisoning is caused by improper handling, preparation, or food storage. The Chicago Food Poisoning attorneys at the Nemeroff Law Offices have the experience and expertise to obtain maximum results for their clients in food–poisoning cases. It is crucial when prosecuting a food poisoning case to have an attorney who knows how to navigate the complexities of these cases. The Chicago–based lawyers at Nemeroff Law Offices have handled cases involving foreign objects, contaminated meat or produce, negligently prepared food, and outbreaks of foodborne illness. Due to our experience handling unsafe food lawsuits, the Nemeroff Law offices are familiar with what legal claims can be asserted in cases involving pathogen contamination, negligently prepared or adulterated food, or foreign objects found in a food or beverage product. If you or a loved one has suffered a Chicago food poisoning injury, contact an experienced Chicago Food Poisoning at Nemeroff Law Offices.